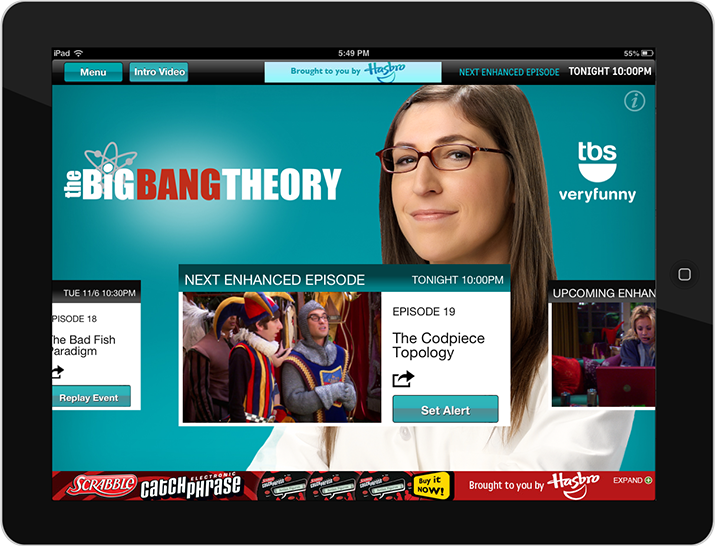 Co-branded rich media OPA banner (closed state) with supporting banners on tbs.com and throughout Turner Network sites. Co-branded rich media OPA banner (expanded state). 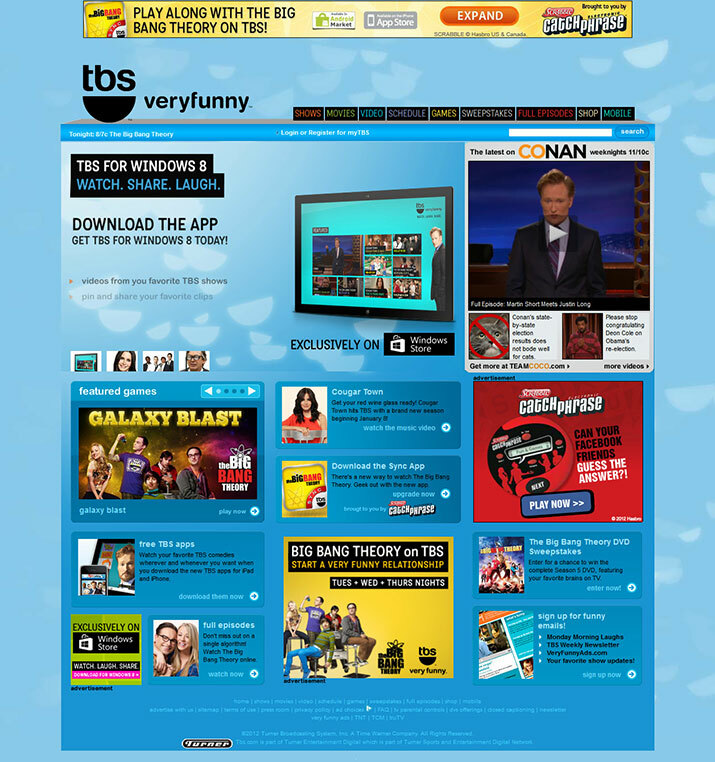 Co-branded editorial promotion on The Big Bang Theory homepage. In-app Hasbro Catch Phrase branded ad integration. Hasbro sponsored in-app reveal game created in Catch Phrase-style timed trivia. 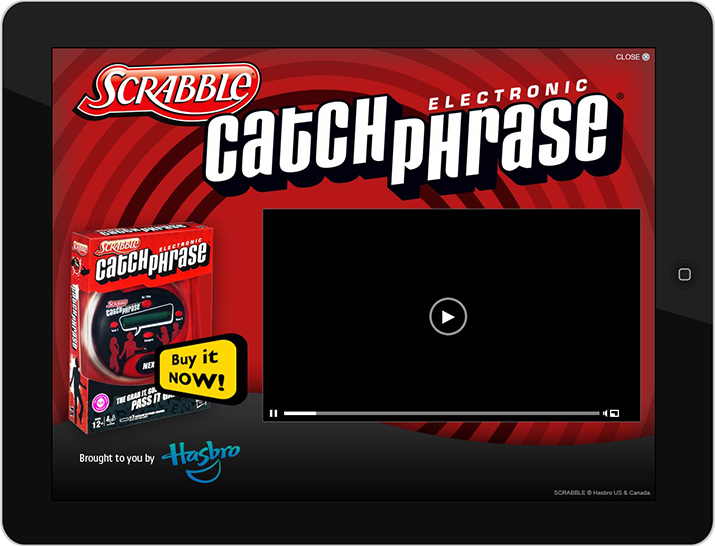 Hasbro Catch Phrase branded in-app rich media banner. 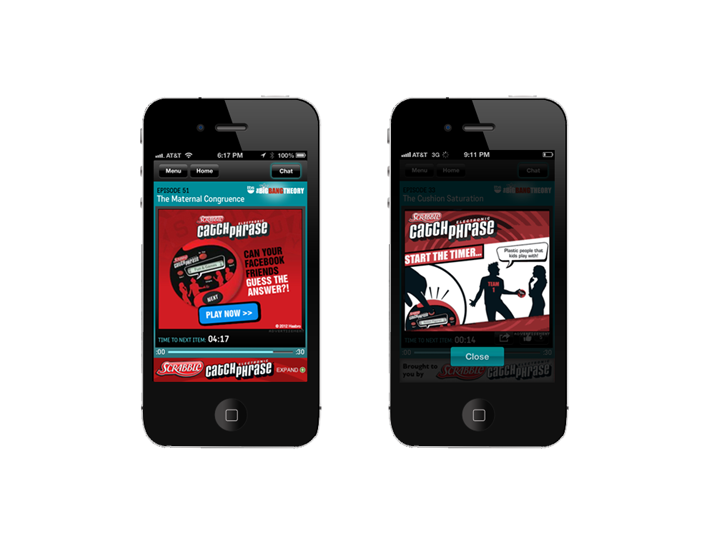 Hasbro Catch Phrase branded in-app rich media banner for iPhone.